I love the process of design development with clients, from the initial stages of meeting the people involved, discussing ideas, through to the execution and final touches of an artwork. 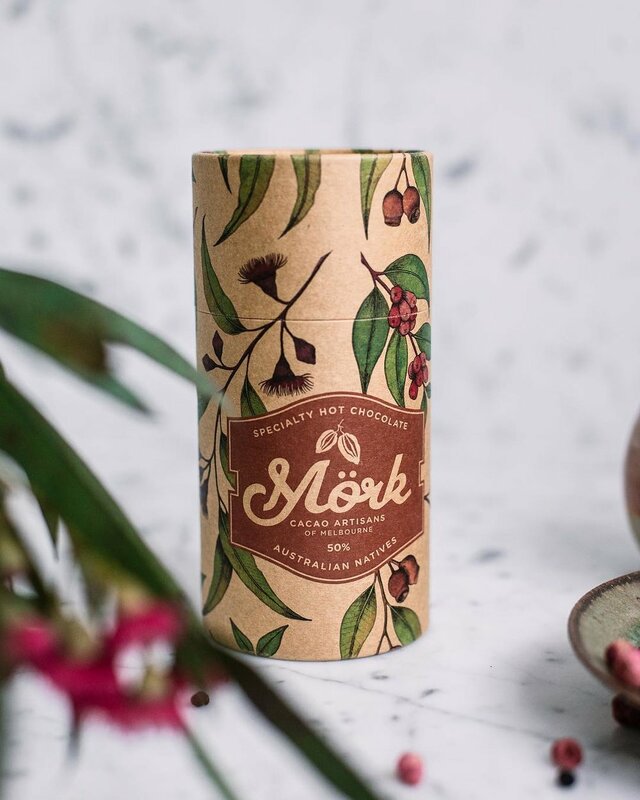 Original illustrations created for Mörk’s Australian Natives hot chocolate. Their newest blend is a celebration of provenance and the vibrant flavours found in native botanicals. My Native Waltz artwork was selected to feature in the BioCup Art Series collection. 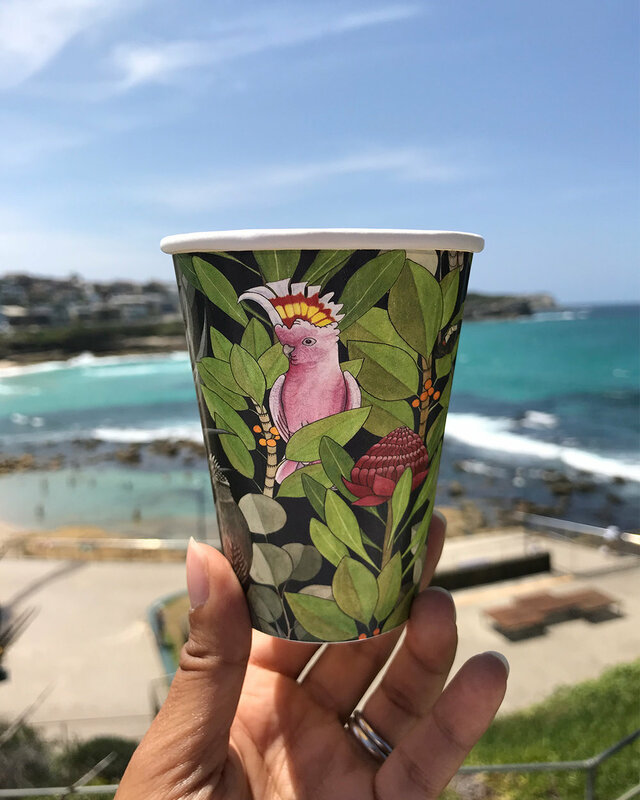 An initiative by BioPak to support and promote the arts community by featuring artwork from Australian and New Zealand artists on their BioCups. BioPak’s curator Kate Armstrong seeks out artists who explore environmental themes at the core of their practice. Custom artwork created for the new Ovolo The Valley in Brisbane. The brief was a garden wonderland of native flora and fauna, with quirky twists and surprises. An exhibition of prints from the pages of the collaborative artists' book, Natural Collection, featuring the work of twenty-nine Warringah Printmakers Studio artists. The images each show an artist's view of the endangered and vulnerable wildlife and habitats of the Northern Beaches area of Sydney, NSW. An environmental art project inviting artists from Australia and New Zealand to create artwork in response to local migratory shorebird habitats.